Software synths and effects have some great advantages. 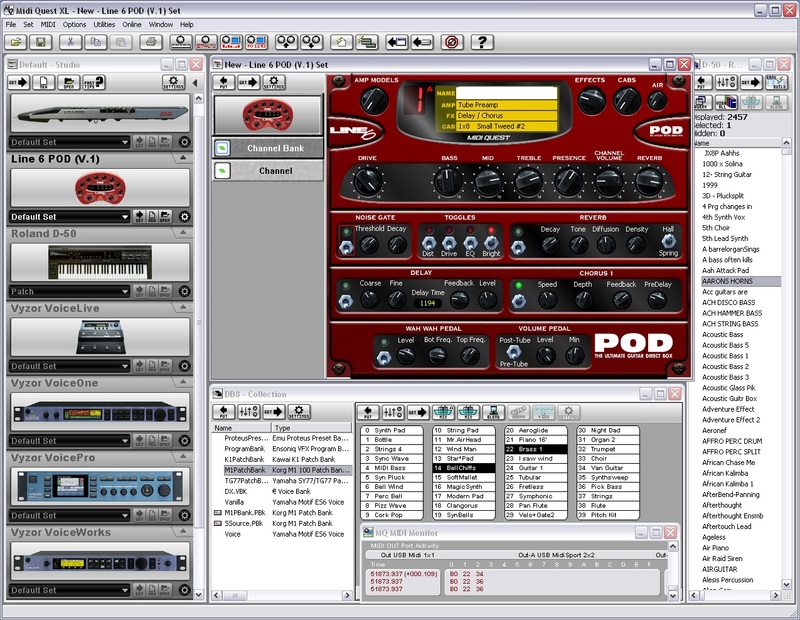 They work right inside your sequencer; you can easily store and access all of your sounds on the computer; and if you want, you can automate changes to your sounds while your sequence plays. All you have to do is twist the knobs of your soft-synth to record the changes. With Midi Quest 10 XL, all of those great features that you have for your soft-synths are now available for your hardware synths and effects. Imagine being able to integrate all of your MIDI hardware into your digital audio sequencer and using it the same way you use your soft-synths. With Midi Quest XL, you can. Compatibility with Windows (XP, Vista and 7) and Mac OS X (10.4, 10.5 and 10.6). Posted by Anonymous on Sat, 07/06/2013 - 13:57. If Midi Quest is free, then what's the $369 USD fee for? Posted by Anonymous on Tue, 02/02/2010 - 00:48. Does the Midi Quest work or am I wasting my time? Posted by Jason on Thu, 05/02/2013 - 03:29. Midi Quest is free to try, so just download and try it!